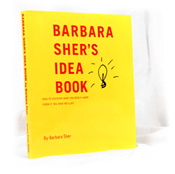 Read by the author, Barbara Sher NO MATTER WHAT YOUR AGE, NO MATTER HOW "UNATTAINABLE" YOUR DREAMS... YOU CAN CREATE -- AND LIVE -- A LIFE YOU LOVE! If you suspect there could be more to life than what you're getting, this extraordinary audio book is about to prove you right! A life without direction is a life without passion. This dynamic program will guide you, not to another unsatisfying job, but to a richly rewarding career rooted in your heart's desire. I Could Do Anything If I Only Knew What It Was reveals how you can recapture your "long lost" goals, overcome the hidden blocks that inhibit your success, decide what you want to be, and live your dreams forever! It is a step-by-step guide for restructuring your life so it has meaning, direction and joy. This book should be mandatory reading for every high school student to prevent them from become a lost adult." Ellen Kreidman, author of Light his Fire and Light Her Fire You will learn: What to do if you never chose to be what you are How to get off the fast track -- and on to the right track First aid techniques for paralyzing chronic negativity How to regroup when you've lost your big dream To stop waiting for luck -- and start creating it. From the Introduction: "Almost as soon as you recognize yourself in this audio book you'll be learning techniques that can help you. Don't be surprised if you find yourself in more than one chapter. Study them all. Most of us are complicated creatures with many sides, and the insight that could create a breakthrough for you might be in any chapter. Working your way through these chapters is going to be very exciting, enlightening, sometimes a bit painful and often very funny. Learning what's really going on inside you can be difficult but it's also invigorating, and the rewards are enormous. You can do anything if you only know what it is, and you're about to find out."